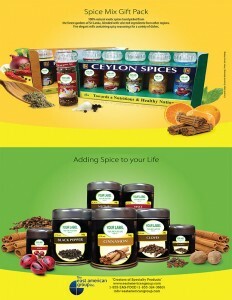 Discover a World of Spice and Seasonings. We offer a large variety of Organic and Conventional Spices from Asia and around the world and bring you endless creations of seasonings. We blend and flavour using our exceptional ingredients to an array of specifications, assuring quality and consistency. 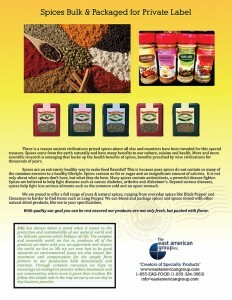 Our spice blends will enrich and “spice up” any dish! 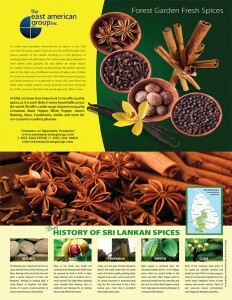 Contact us to learn more about our spices from around the World.